China and the European Union (EU) both know how to control differences and resolve problems in between, and thus develop their relations healthily, said Ambassador Zhang Ming, head of the Chinese Mission to the EU on Wednesday, on eve of the EU summit which will talk about issues including contacts with China. Zhang made the remarks at a seminar held by the Brussels-based think tank Friends of Europe. Also in presence was Gunnar Wiegand, Managing Director for Asia and the Pacific at the European External Action Service, besides dozens of scholars and observers. The ambassador believed that China-EU relations have not undergone fundamental changes, and thus could be mended and move on so as to continue to help stabilize the world. Zhang expressed his belief on the grounds of the reiteration of the comprehensive strategic partnership by Chinese State Councilor and Foreign Minister Wang Yi, who paid a visit to the EU earlier this week, and Federica Mogherini, EU's High Representative for Foreign Affairs and Security Policy. Last week, the European Commission laid out a ten-action proposal defining China as a cooperation partner, economic competitor and systematic rival. The joint communication is to be discussed among the leaders of the EU members this week. 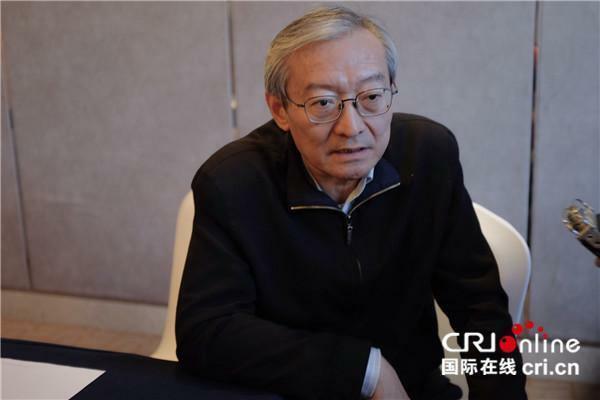 "Inevitably there is competition between us, and we won't shy away from it," said Zhang. Admitting competition is "not a bad thing", he reminded that "competition and cooperation are two sides of one coin. Competition is not a you-lose-I-win and winner-takes-all game". Wiegand said he couldn't agree more with Zhang about the definition that the EU and China are comprehensive strategic partners, and he assured that the EU will not become the U.S.
"There is the public discussion in many of our member states. There is a significant or higher degree of realism or sincerity when discussing our relations with China," said Wiegand. "It's not just hopes or naive assessments. It is experience from many years of working together, and being much more conscious about how much we mean to each other," he elaborated. About the proposal to be discussed at the EU summit, Wiegand said it is a contribution to discussion and it is the question whether some of the concepts would in principle be endorsed. "But it is not a formal decision," he told Xinhua reporters. "This is not the direction of confrontation; this is not a direction of containment. This is a direction of cooperation and of working together resolving our differences," he underlined. Both Zhang and Wiegand reviewed the tremendous size of trade and investment between China and the EU. For 15 years, the EU has remained China's top trading partner, and China is EU's second largest partner. Zhang also replied to European concerns over alleged unfair competition with China. Addressing the worry about Chinese investment, Zhang pointed out that Chinese investment accounts for under 0.5 percent of foreign investment in Europe, far less than the U.S. investment which accounts for 15 percent. Meanwhile, European companies have rapidly increased their investment in China. Last year, EU investment in China grew by more than 22 percent, Britain and Germany by 150 percent and 79 percent respectively. About the market access in China, Zhang repeated the Chinese commitment to the opening-up policy. He also expressed his anticipation that the EU will not push for wider access to the Chinese market while gradually closing its own doors. About the reciprocity, Zhang reminded that Chinese per capita GDP is only one fourth of EU. Chinese industrialization is far from finished. He said it "does not make sense" for 40-year development to be fully equally treated with the 260 years of industrialization. The media briefing was followed by a round table closed door seminar later Wednesday.